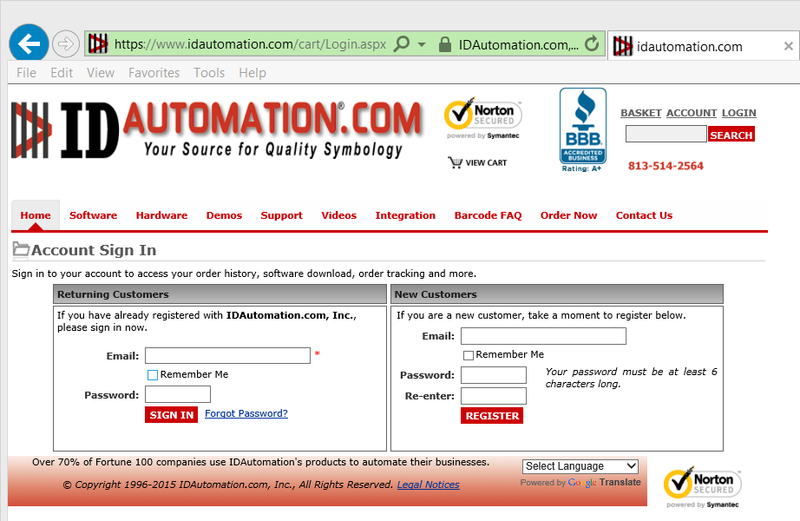 Enter the email address and password created at the time of order as a Returning Customer. After logging in, click on Account located in the upper right hand corner of the home screen. 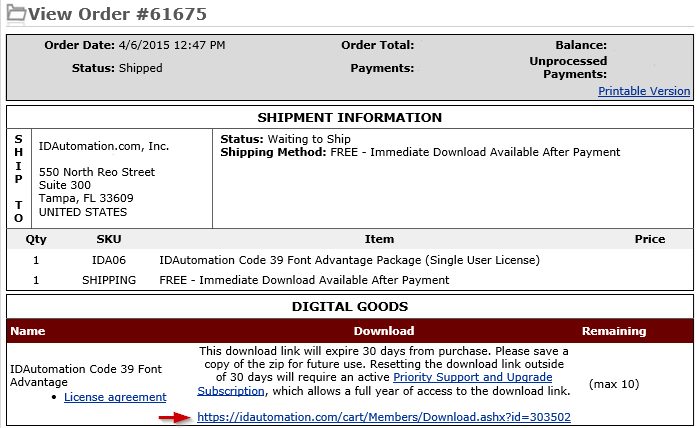 Click on the “View Order” button of the order that contains the software to download. In this example, Order # 61675 was selected. The download will be located under Digital Goods. 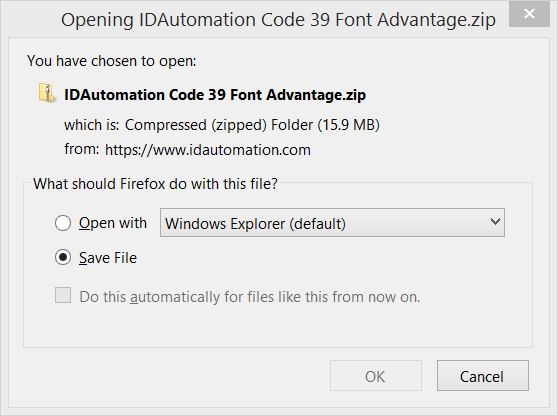 IDAutomation has put an arrow indicating the location of the download link in the above image. Note: If you are not the end user, you may copy this link and send it to the correctly licensed individual. The download link will expire 30 days from purchase. Please save a copy of the zip for future use. Resetting the download link outside of 30 days will require an active Priority Support and Upgrade Subscription, which allows a full year of access to the download link.